In New Zealand, promptly at 3pm in the afternoon we break for tea or coffee. Since moving here I find that at 3pm I’m ready for a hot drink and a sweet treat. When in Rome, right?! Grabbing a coffee in New Zealand is more akin to they way they do it in Europe. It’s a proper break, not a hastily purchased beverage in a paper cup while running between meetings. Don’t get me wrong, I sure do miss my very large Venti Americanos but I find each time I meet someone for morning or afternoon coffee, that I enjoy the ritual of sitting with them and taking a few minutes out to properly connect and enjoy. 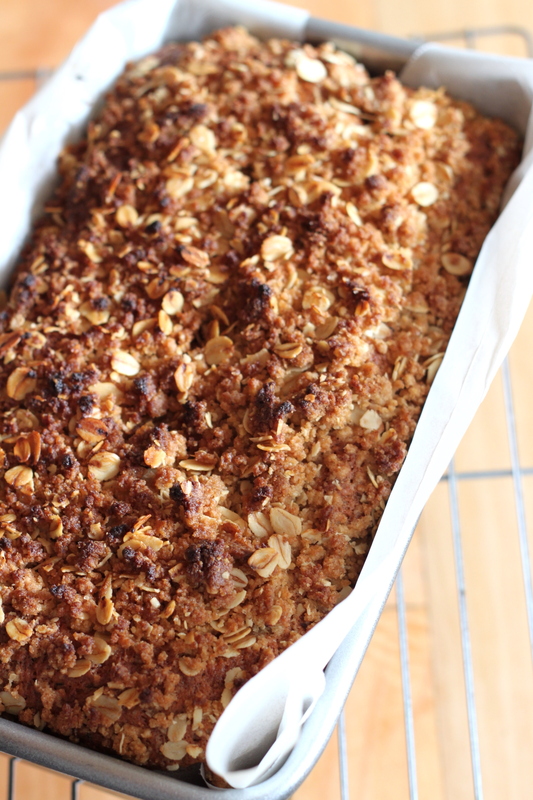 All of that to say, it was at this very type of afternoon coffee gathering that this recipe for Zucchini and Banana Streusel Bread was born. 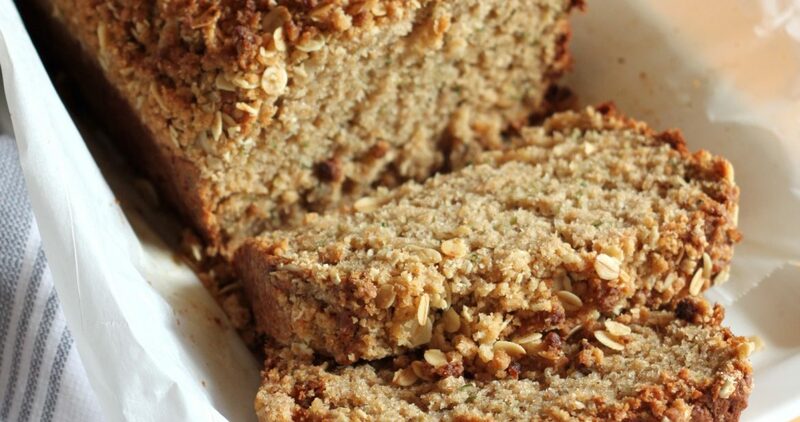 I was visiting my future mother in law for afternoon coffee and she had made banana bread – it was delicious. 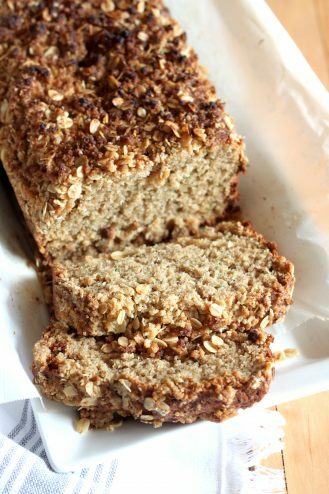 I then remembered I had two extremely overripe bananas in the freezer for this specific purpose. I’ve been trying to make baked goods for these afternoon treat cravings instead of buying them – at least this way I can control what goes into my food. While rummaging in the freezer for the bananas, I came across a zucchini that needed to be used and that is how this recipe came about. I needed a slice of something sweet at 3pm in the afternoon to go with my coffee. The things we do! I hope you get to make this soon. 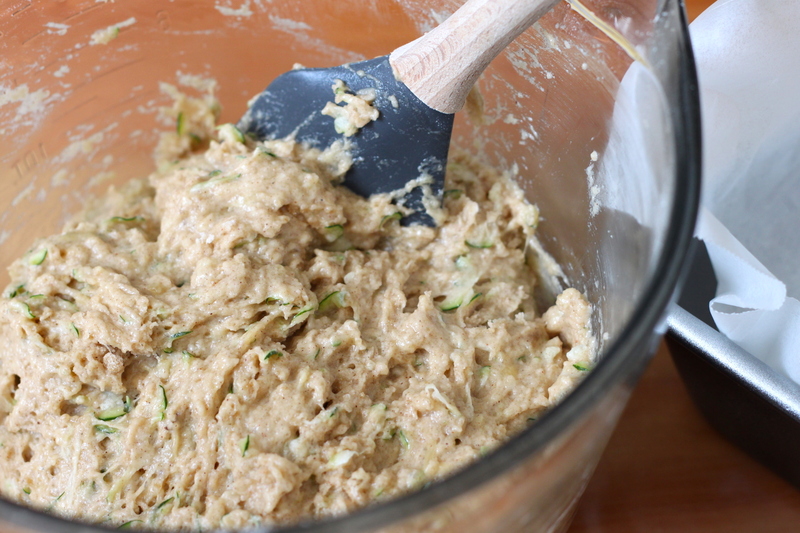 Grease one loaf pan with butter or baking spray then line with parchment paper. In a large bowl, mix together mashed banana, zucchini, melted butter, buttermilk, vanilla and eggs until combined. 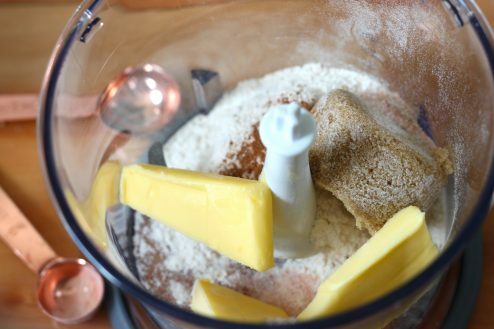 In a separate medium bowl, whisk together flour, sugars, baking powder, baking soda, cinnamon and salt. Add to banana mixture and gently stir until just combined. 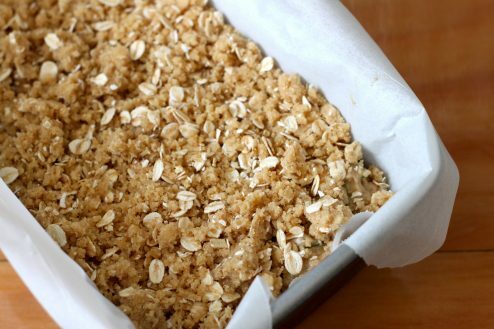 Spoon into lined loaf pan. 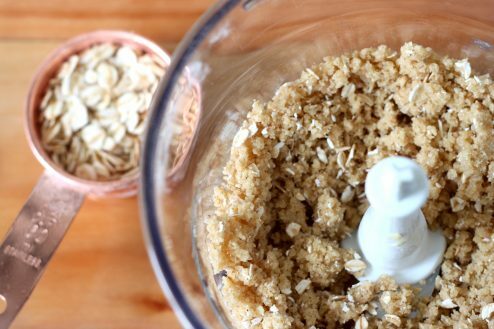 To make streusel topping, in a food processor blend all the ingredients but the oats until a moist dough forms. 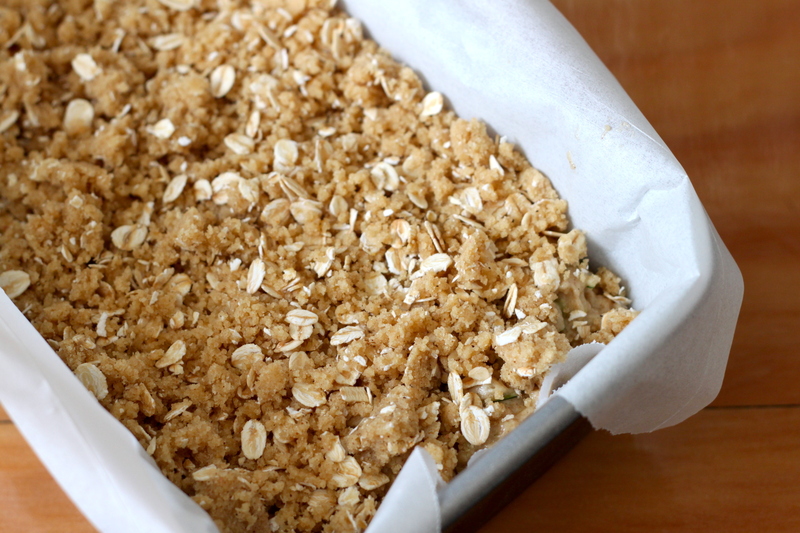 Then add half of the oats to the mix and pulse until combined. 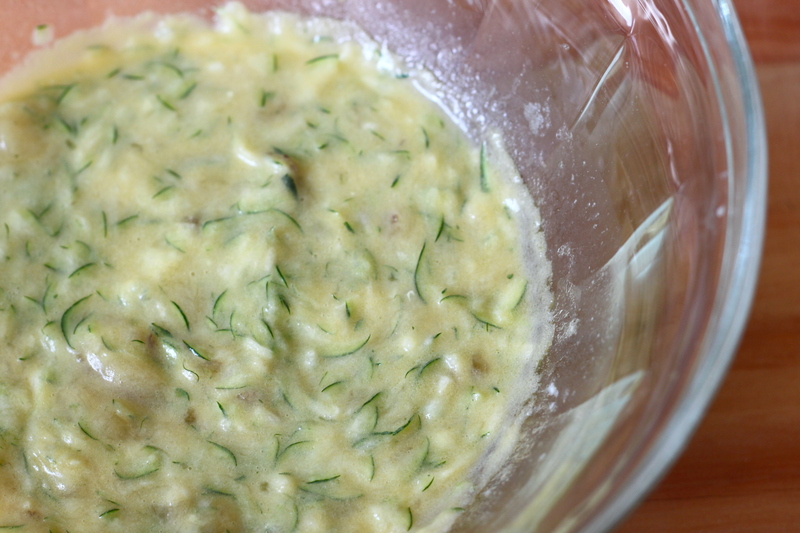 Stir in remaining oats and sprinkle evenly over zucchini banana mixture. Bake for about 55 minutes, until toothpick inserted into the center comes out clean. Cool for about 5 minutes in pan, then pull the bread out of the pan using the parchment paper and let cool completely on a wire rack before slicing.